Birbal born Mahesh Das; 1528–1586) or Rajah Birbar, was a Brahmin advisor in the court of the Mughal emperorAkbar. Birbal had a close association with the emperor, being part of his group of courtiers called the navaratna or nine jewels. Birbal is mostly remembered in folk tales, which focus on his wit. In 1586, he led an army to crush an unrest in the north-west Indian subcontinent, which failed tragically when he was killed along with many troops, in an ambush by the rebel tribe. Towards the end of Akbar's reign, local folk tales emerged involving his interactions with Akbar, portraying him as being extremely clever and witty. As the tales gained popularity in India, he became even more of a legendary figure. No evidence is present that Birbal, like how he is shown in the folk tales, influenced Akbar's beliefs, decisions and policies by his witticism. It was Akbar's religious tolerance, social liberalism and affection for him that was the cause of his success. Appointed by Akbar as a poet and singer around 1556–1562, Birbal soon became an important advisor and was sent on military expeditions despite having no previous background. Birbal's defeat was one of biggest military setbacks during Akbar's reign and his death is said to have caused Akbar much grief. In the folk tales, Birbal is mostly shown as being younger than Akbar, religious and surrounded by envious Muslim courtiers. These tales involve him outsmarting them and sometimes even Akbar, using only his intelligence and cunning, often with giving witty and humorous responses and impressing Akbar. Some stories are told in versions containing a different set of characters from Indian folklore. By the twentieth century onwards, plays, films and books based on these folk tales were made, some of these are in children's comics and school textbooks. Birbal was born as Mahesh Das in 1528, in a village near Kalpi, Uttar Pradesh, India; according to folklore, it was at Tikawanpur near the banks of river Yamuna. His father was Ganga Das and mother, Anabha Davito. He was the third son of a Hindu Brahmin family which had a previous association with poetry and literature. He was educated in the Hindi, Sanskrit and Persian languages, Birbal specialised in music and poetry in the Braj language. He wrote prose and specialised in music; he gained fame for his poetry and singing. He served at the Rajput court of Raja Ram Chandra of Reva, under the name "Brahma Kavi". Birbal's economic and social status improved when he married the daughter of a respected and rich family, contrary to the notion that he was on poor economic terms before his appointment at the imperial court of the Mughal emperor Akbar. Birbal comes from Bir Bar or Vir Var which means courageous and great, quite contrary for him since he was not known for his bravery or for his military skill. Akbar gave titles to his Hindu subjects according to their traditions and S. H. Hodivala writes that it could have been taken from a character in the folk tale Vetal Panchvinshati. This featured a courtier called Vir Var who showed great loyalty to his king. 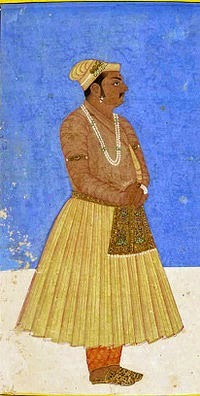 Akbar was also fond of literature, having works of Sanskrit and other local languages translated into Persian.